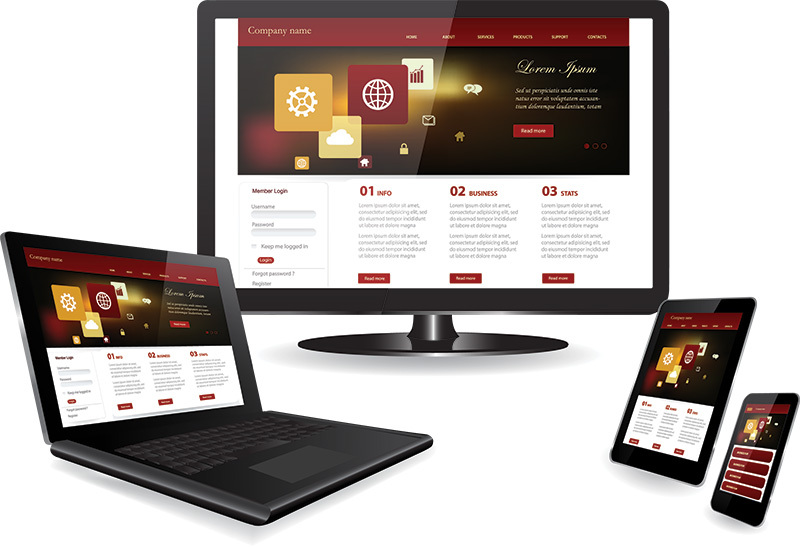 Build just one web site and have it function on all devices! Whether you seek a small 3-4 page site, or one that is much larger, we can handle it. When you have us design a site for you, not only will it look professional and graphically appealling, but will also be built to be search engine friendly to help your site rank well for your related keywords. We also have extensive experience in the installation and custom design of blogs including the most popular platform, WordPress. Whther you are a large agency with many agents, or just an individual agent looking to spotlight your listings, we can help. We create sites featuring MLS listings, your own non-MLS listings, or a combination of the two. We actually cut our teeth in the e-commerce arena, and thus bring a great deal of experience to the fore. Whether you need small site with just a few products or you feature thousands, we can help. All of the sites we build these days employ what is called “responsive technology”. This allows a site to change its shape to fit the device it is being viewed on, while keeping the content at a size that is readable. No more having to build one site for computers and another for mobile! No matter how good your site looks, your customers have to find it. Every site we build is optimized with keywords and phrases related to your business that are being used by your customers online everyday. We also offer advanced components to take your site rankings to even higher levels, including local search results. Facebook recently surpassed Google as the world’s most visited site. If you have a business, you need a Facebook page, it’s that simple. We offer the ability to set up and design your Facebook, Twitter, and Google Plus pages to match the look of your site and brand. Whether you just need a custom html email template built for your business’s email campaigns, or you need a company that can handle the whole process, we are your guys. Add a form to your site to automatically build your email database.